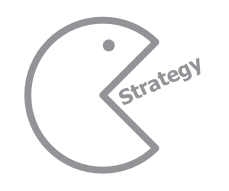 Strategy is essentially a statement of good intentions. Culture is a description of “the way we really do things.” Seldom do people in the organization fully practice (in culture) what they preach (with strategy). In your company the work processes, structure, rewards, and people development systems drive and maintain the way you really do things. If this is blocking the behaviors that will fulfill your strategy, you need to redesign how things are presently aligned. We believe strategy needs to be complemented by choosing a few organizational capabilities (i.e., collaboration, focus, speed, accountability, etc.) which become the design criteria for adjustments in the four systems that drive culture. Perfect alignment of all these leads to organizations who walk their talk.